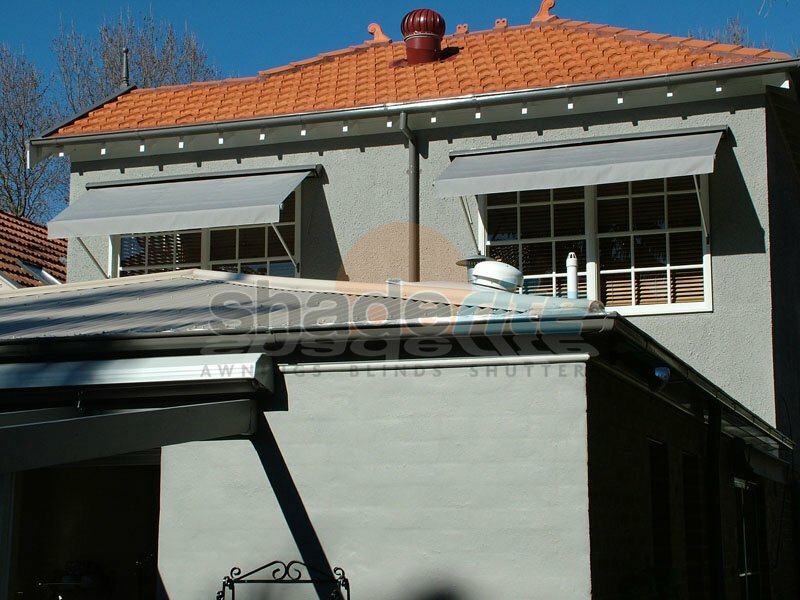 Drop arm awnings are the ideal solution for shading the windows of your home or business while still allowing you to control the level of shade required throughout the day and maintaining air air flow to open windows. 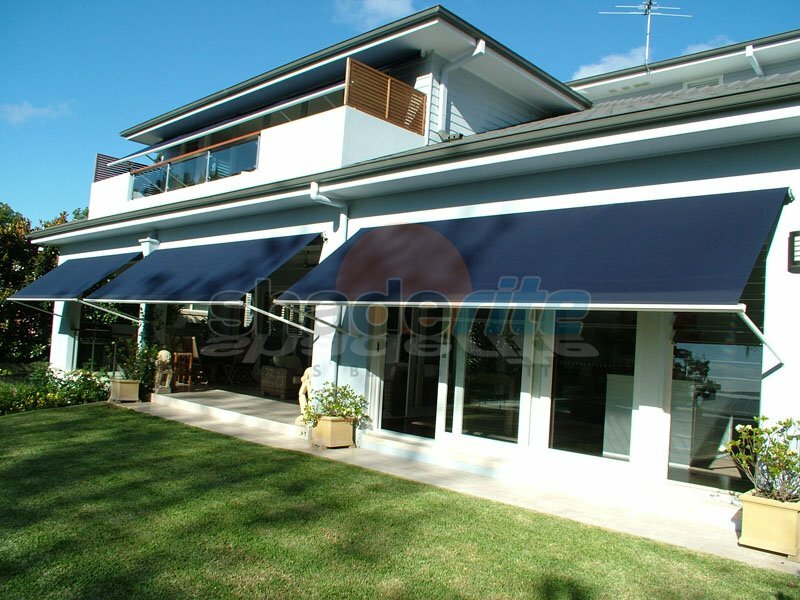 Our range of drop arm awnings range from the basic rope/pulley operating system through to full motorisation. 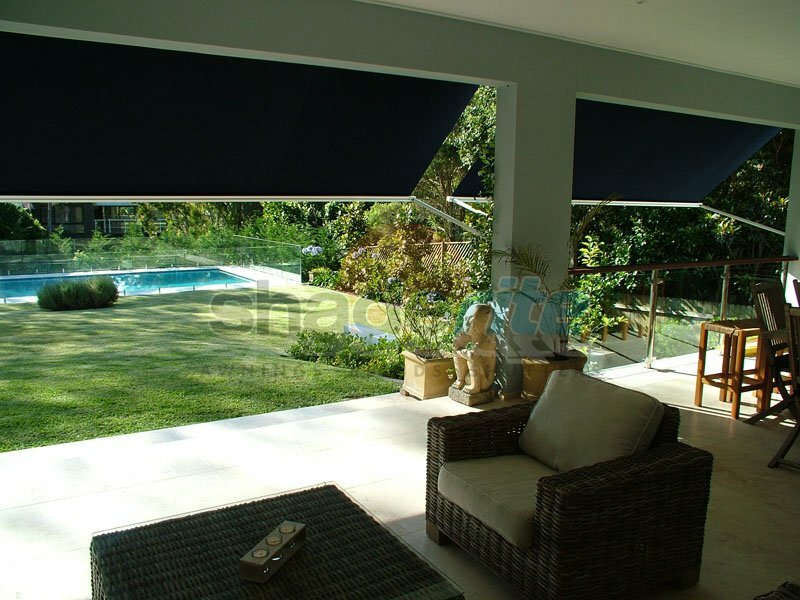 Our motorised control options are available with timers or sun & wind sensors to operate independently and ensure against extreme weather conditions. 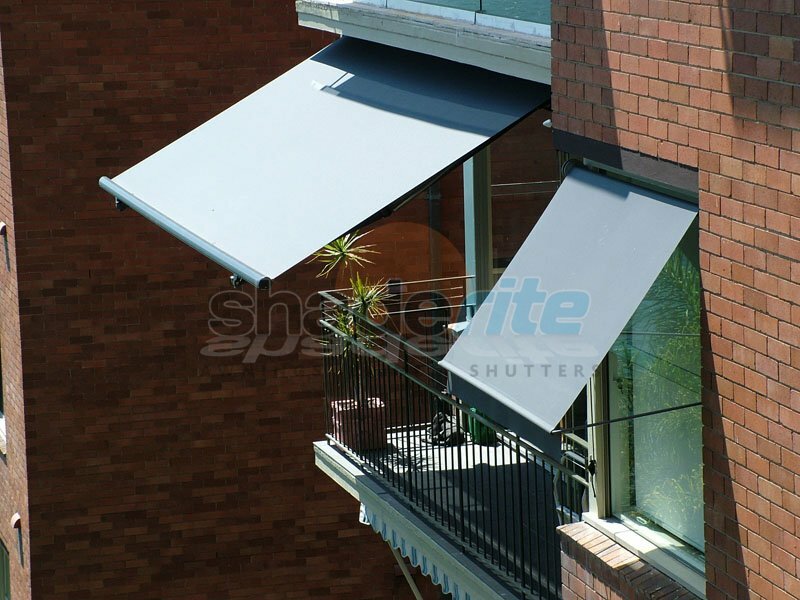 They can also be linked to any building management system if required. 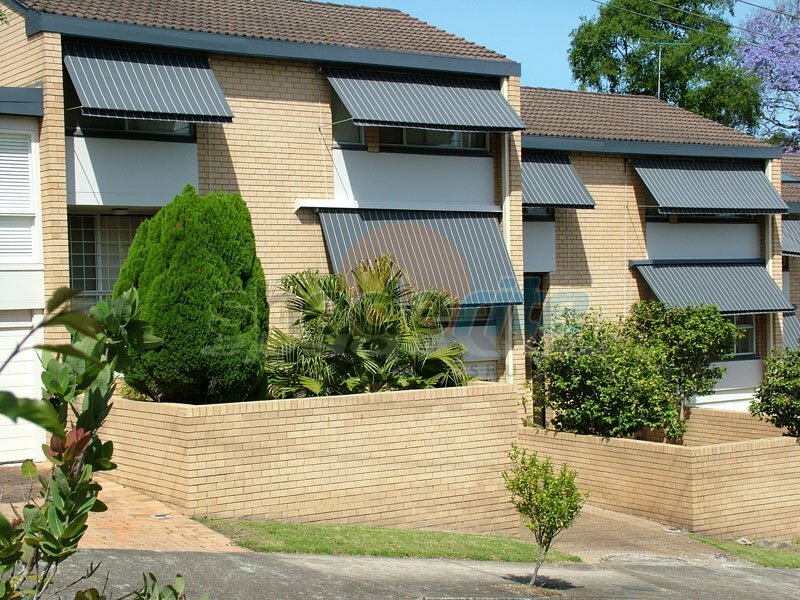 Drop Arm Awnings are both an effective way of conserving energy by shading windows and doorways while meeting council BASIX requirements at the same time. 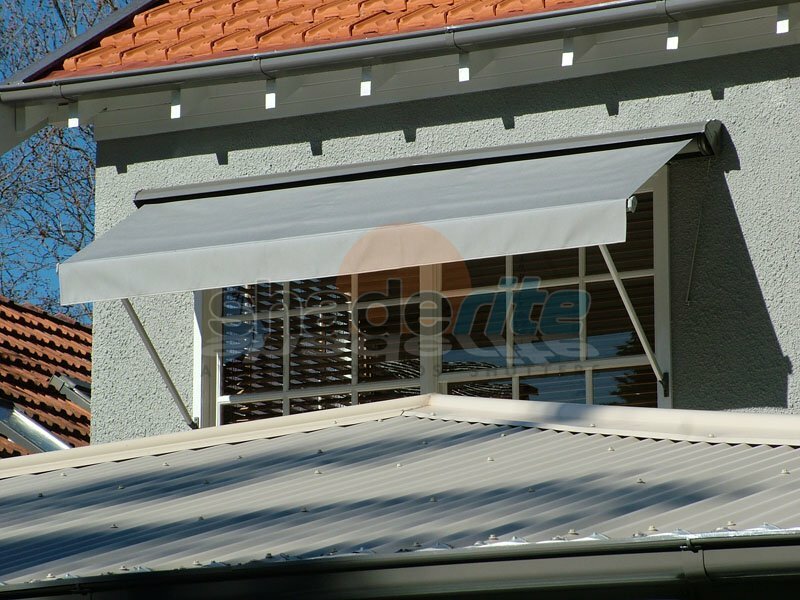 The System 2000 Awning is the next level up from the basic rope and pulley drop arm awning, incorporating aluminium spring loaded arms tensioning the fabric adding stability on windy days. 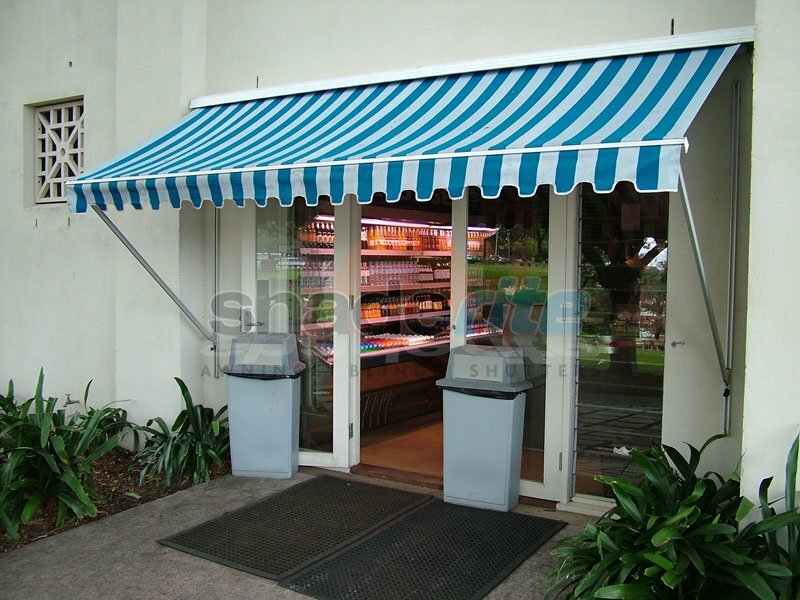 The awning can be rope operated or with an internal or external mounted winch, they can also be fully motorised. 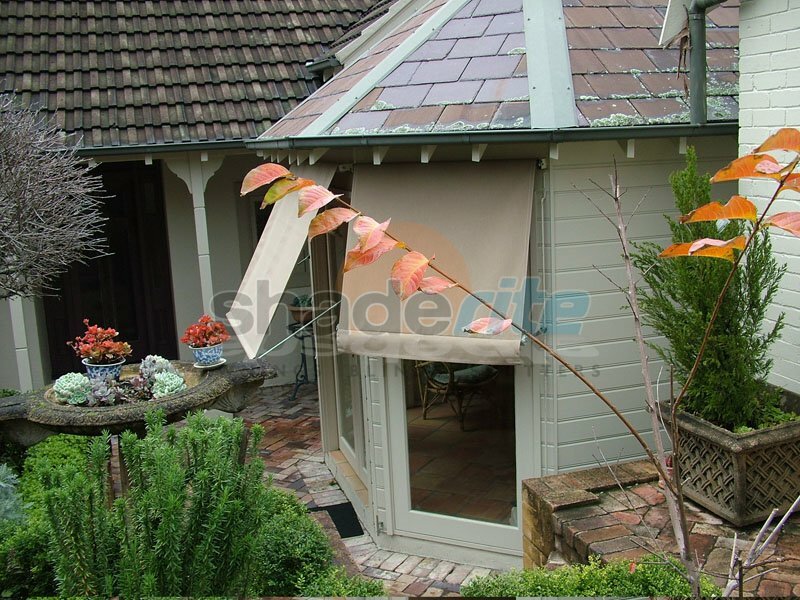 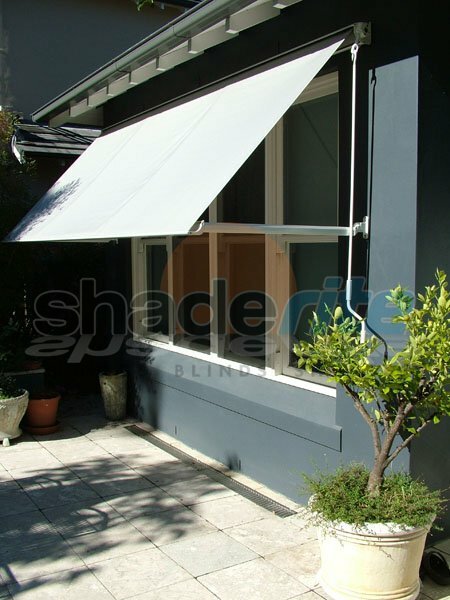 The Robusta awning is designed for high wind conditions or to cover large areas of up to 8 metres. 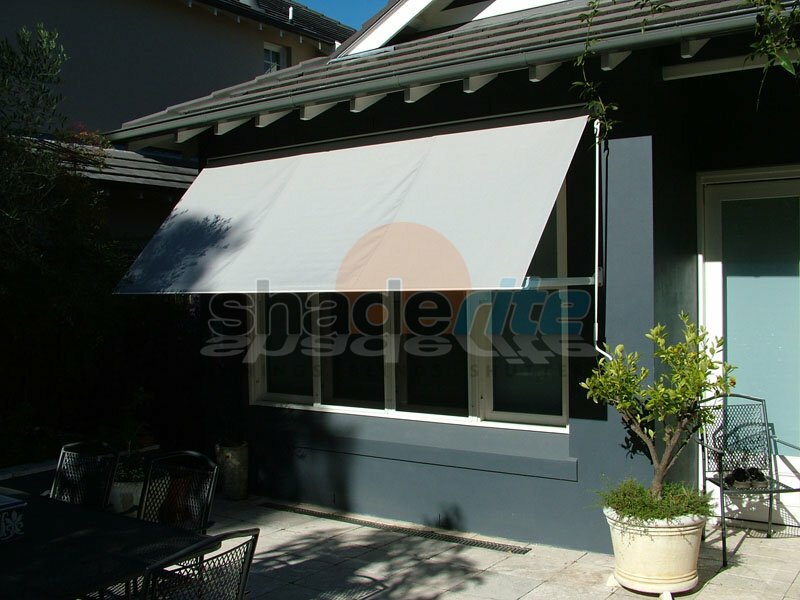 It comes with robust spring loaded aluminium arms which tension the fabric adding stability on windy days. 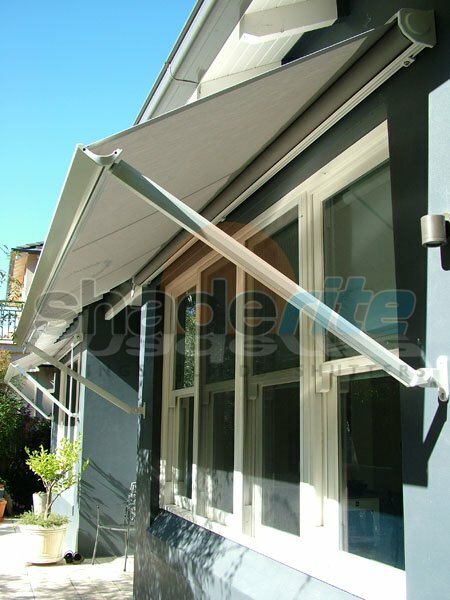 The Robusta Drop Arm Awning range is operated with a crank handle and gearbox or can be motorised for ease of use. 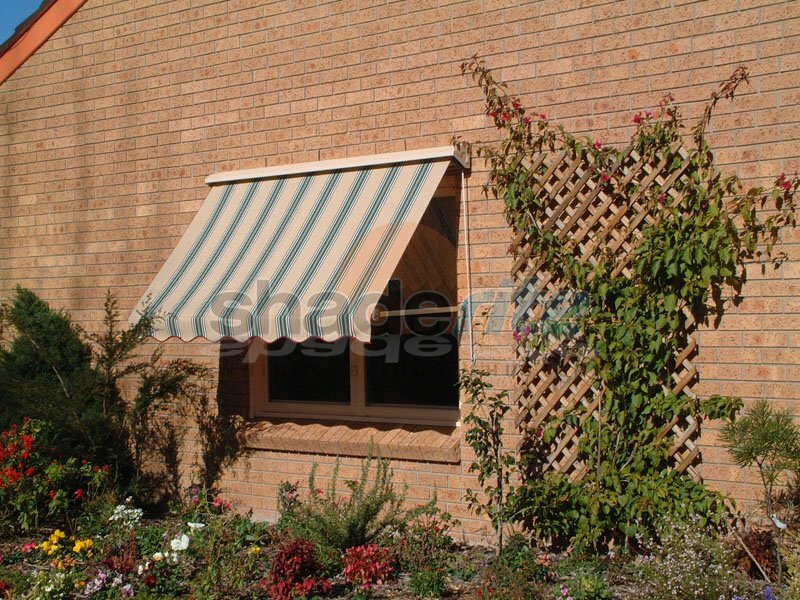 The Italia is fully enclosed head box awning and is the perfect design complement to modern building designs. 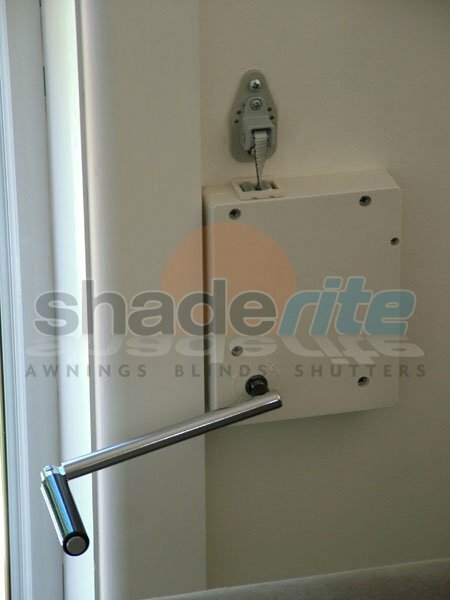 The head box (cassette) and arms are custom powder coated to any colour, and comes with spring loaded aluminium arms which can be operated with a crank handle and gearbox or can be motorised for the ultimate in ease of use. 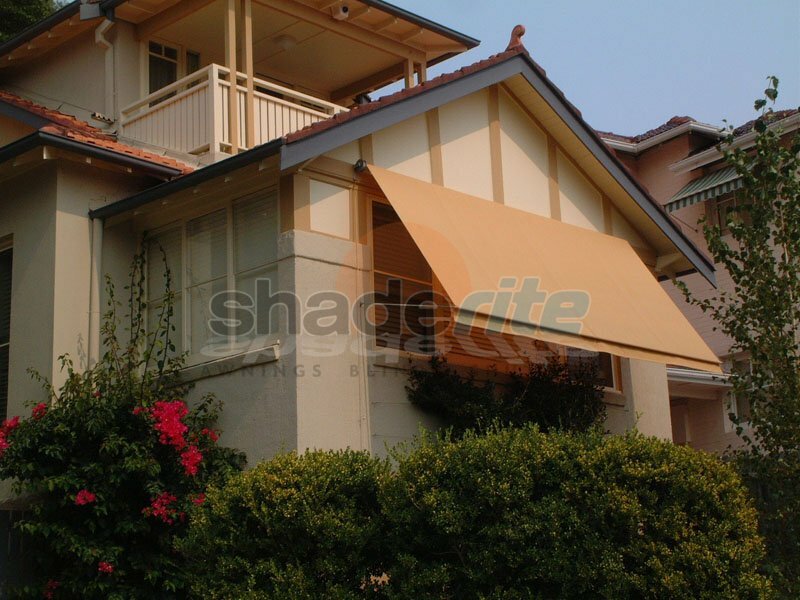 For an obligation free quote for your all of your drop arm awning needs, please contact us today. 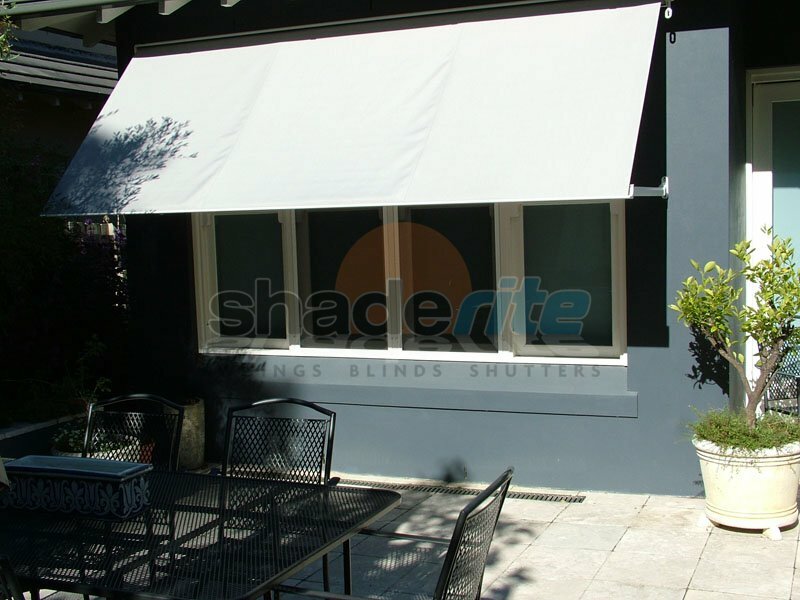 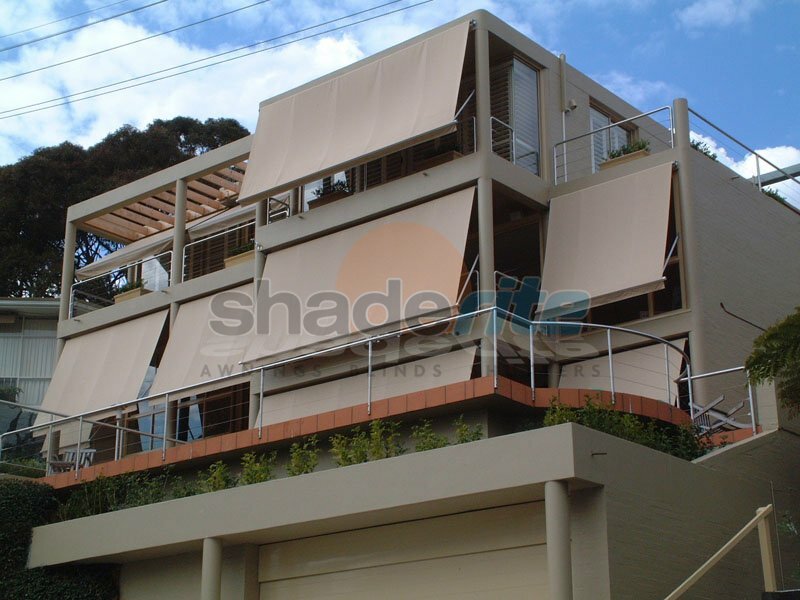 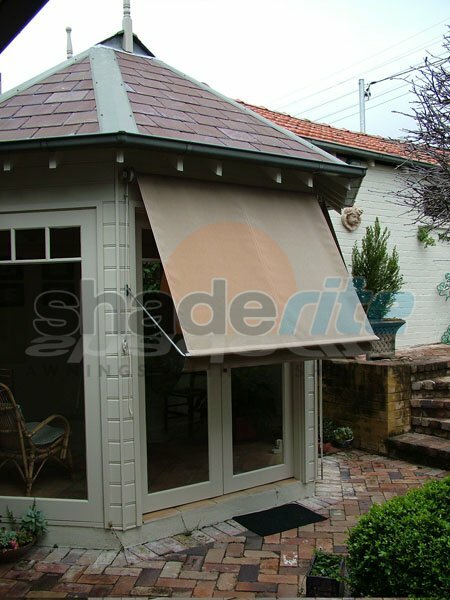 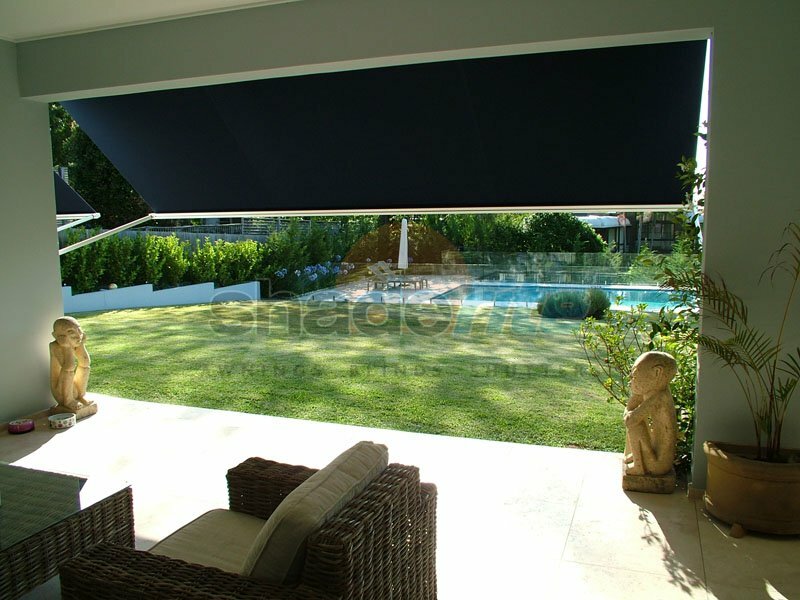 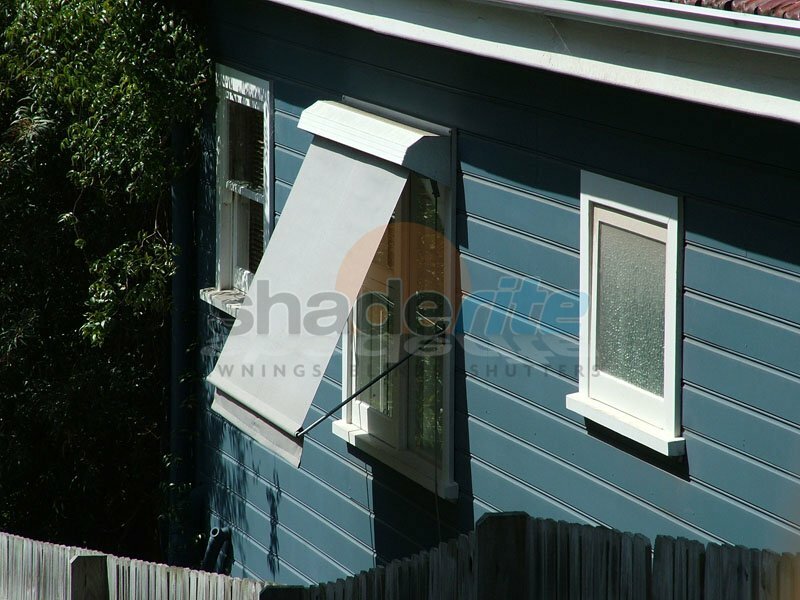 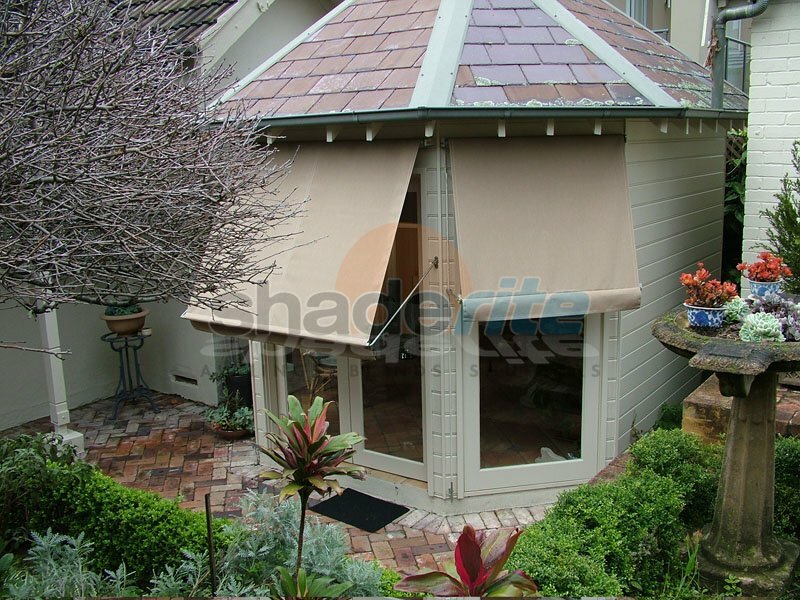 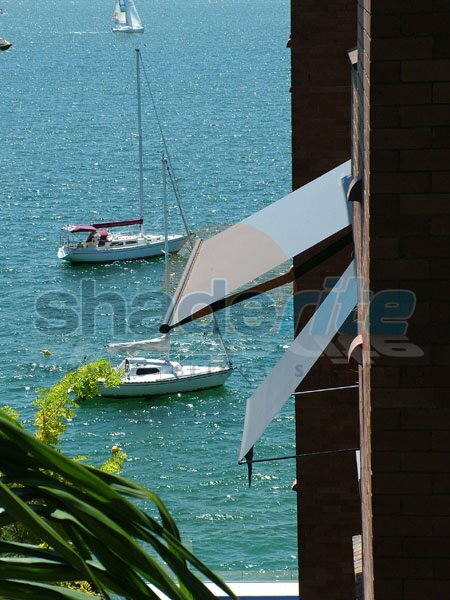 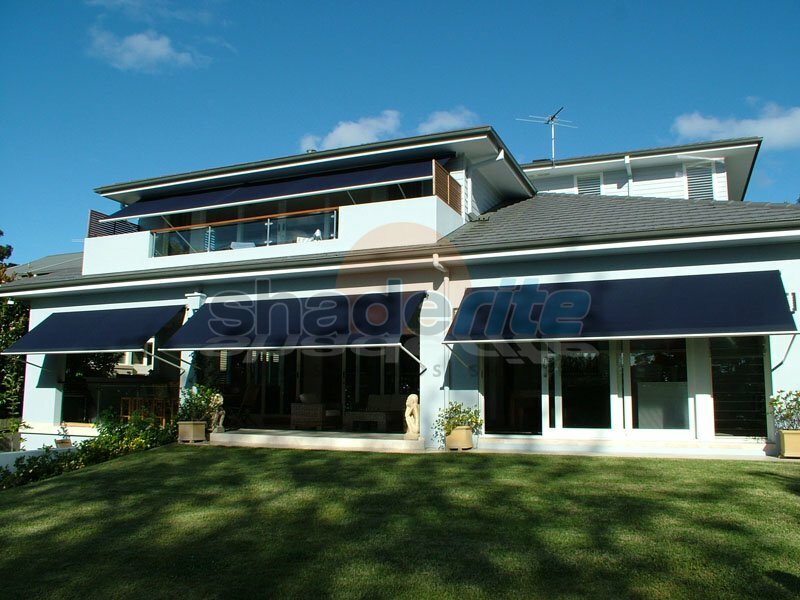 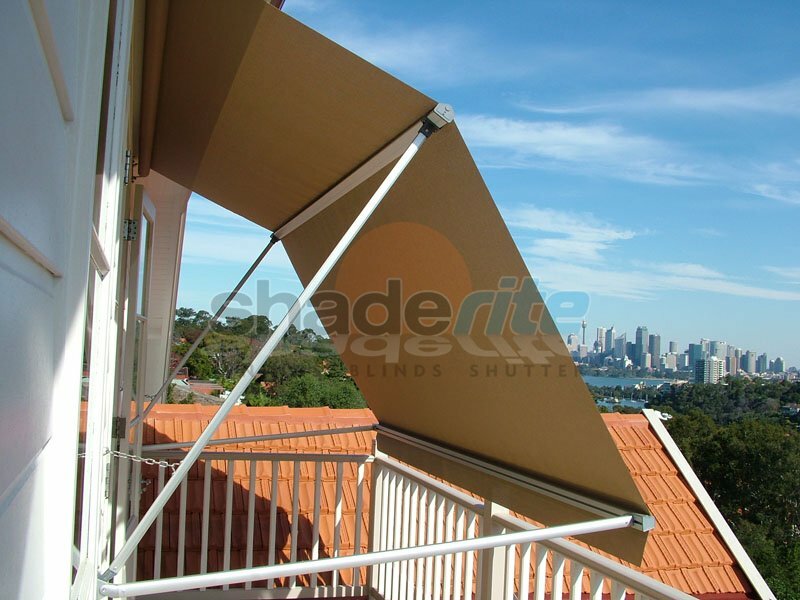 Protect your home, create a more enjoyable living space and control your environment with a custom drop arm awnings solution from Shaderite.